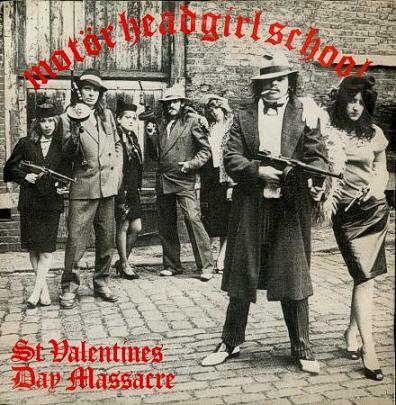 Headgirl was a collaboration between Motörhead (Head...) and Girlschool (...Girl). The recording output of the collaboration was the 'St. Valentine's Day Massacre' EP, released 14th February 1981 and reaching no. 5 in the British singles charts. 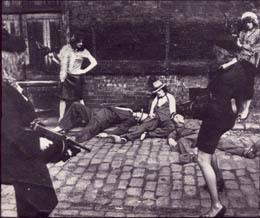 The A' side was a cover of Johnny Kidd's 'Please Don't Touch' while the B' side consisted of re-recordings of Girlschool's 'Emergency' by Motörhead with Denise Dufont on drums, and Motörhead's 'Bomber' by Girlschool. Motörhead's Philthy Animal Taylor didn't play on the record but was credited with 'Insults & Inspiration'.